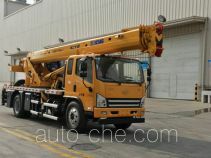 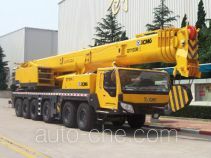 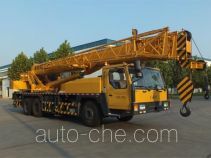 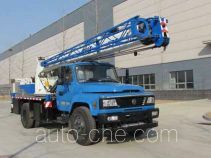 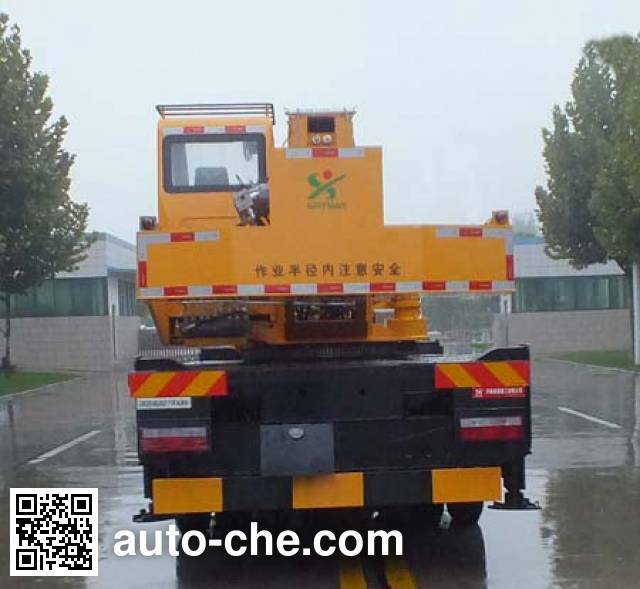 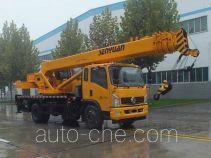 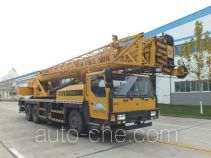 Senyuan (Henan) truck crane SMQ5140JQZ (batch #291) based on EQ1140GLVJ chassis is made in China by Henan Senyuan Heavy Industries Co., Ltd. 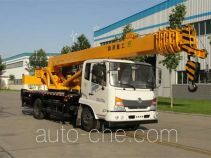 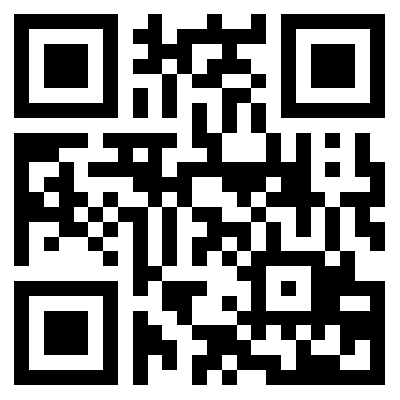 The company is located in Changge, in Henan Province, China. 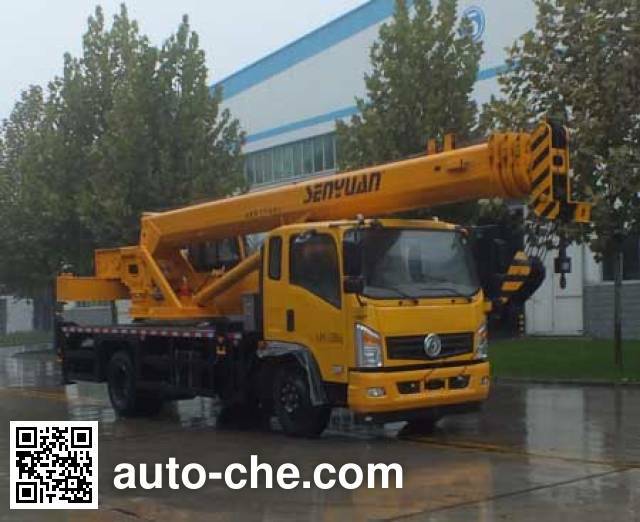 Manufacturer Henan Senyuan Heavy Industries Co., Ltd.
2 YC4E140-56 4 260 cc 4.3 L 260 cu in 103 kW 140 hp Guangxi Yuchai Machinery Co., Ltd.
3 CY4SK151 3 856 cc 3.9 L 235 cu in 125 kW 170 hp Dongfeng Chaoyang Diesel Engine Co., Ltd.
4 YC4EG160-50 4 730 cc 4.7 L 289 cu in 118 kW 160 hp Guangxi Yuchai Machinery Co., Ltd.
5 ISD160 50 4 500 cc 4.5 L 275 cu in 118 kW 160 hp Dongfeng Cummins Engine Co., Ltd.
6 ISB170 50 5 900 cc 5.9 L 360 cu in 125 kW 170 hp Dongfeng Cummins Engine Co., Ltd.
7 YCD4D4S-140 4 156 cc 4.2 L 254 cu in 105 kW 143 hp Guangxi Yuchai Power Machinery Co., Ltd.
Reach 1880mm, extension of 220mm. 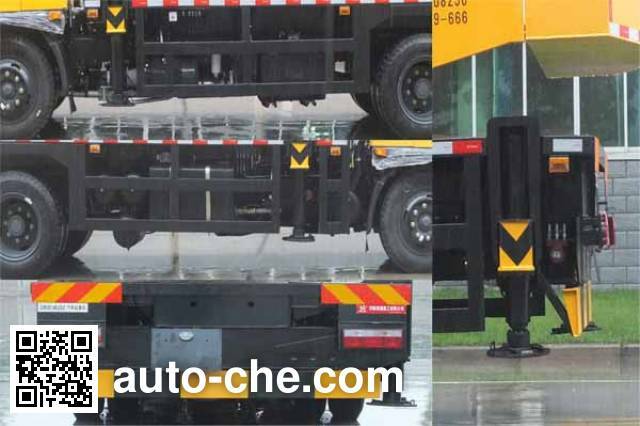 Side protective materials Material Q235, bolted connections after protective materials Material Q235, connection to welded connections, the rear fender-sectional dimension of 200 × 80 × 2.5 (mm), ground clearance 465mm.ABS model / manufacturer:.. 3631010-C2000 / East Cork Noel commercial vehicle braking system (Shiyan) Limited car installed with satellite positioning drive recorder with the optional chassis cab.